Tires can be broken down into three key zones: center, transition, and side/cornering zone. Talk all you want about the benefits of upgrading wheels, brakes, or even your bike’s entire drivetrain. But pound for pound (or gram for gram in this case), there is no better bang-for-buck upgrade than new mountain bike tires. After all, that spinning rubber is the only thing on your bike that actually touches the ground – unless you crash. So why are tires so important? What benefits do the various types offer? And how do you decide which ones are best for you and your riding style? Read on to find out. Mount up a new set of tires and you’re going to gain some combination of improved traction, lower rolling resistance, reduced weight, increased durability, and/or greater puncture protection. Alas, like so much in life, you can’t have it all. And that means deciding what makes the most sense for you. For instance, the addition of taller knobs or higher overall volume can dramatically improve traction, but will also likely increase weight and rolling resistance. Conversely lower profile lightweight speedsters will go fast, but won’t hook up as well or be as durable. So while gaining traction can net increased confidence, if the top of the XC race podium is your goal, giving up a little grip to enhance rolling efficiency is likely the way to go. It’s a similar story with weight. Lighter tires can help you scoot up hills quicker, but typically offer less traction, are not as robust, and are thus more puncture prone. Having confidence in your tires will translate into confidence in your skills on the bike. Therefore, when buying a new set of tires, the first question you must ask yourself is what are they for? This starts with determining the right diameter for your wheelset, which for the vast majority will be 27.5, 29, or 27.5-plus. If you don’t know the answer, simply look at your wheels and/or current tires. One of those three numbers should be printed somewhere on the rim or tire sidewall. 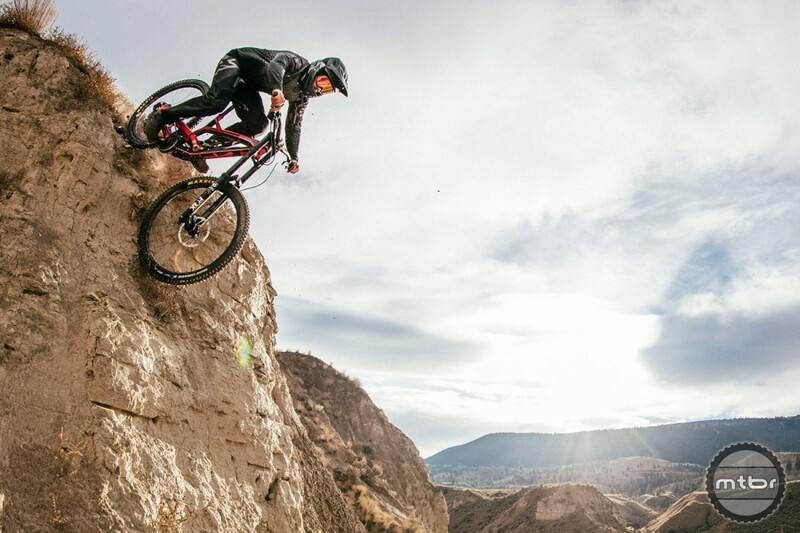 Next you need to think in terms of intended riding style, be it cross-country, trail, enduro, or downhill. For each of these categories, there is a general width range (measured in inches), though these numbers can vary depending on terrain, rider preference, and the tire’s tread pattern. 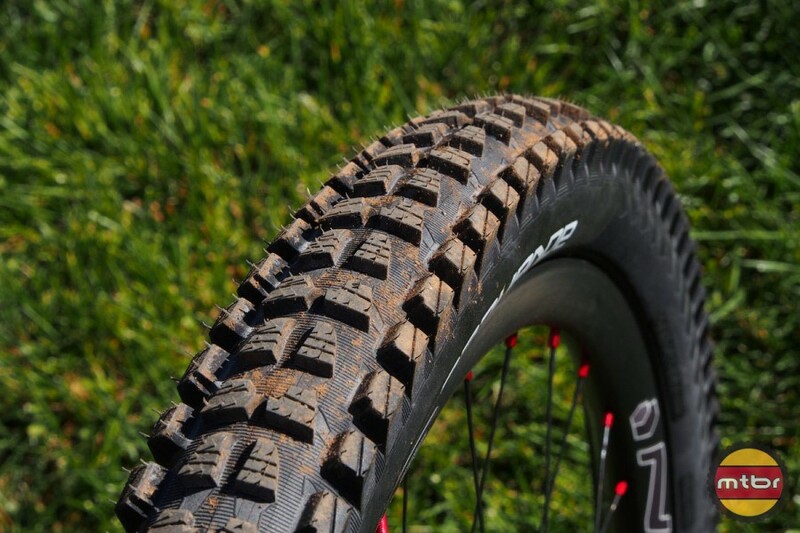 But as a starting point, XC rubber usually measures 2.0-2.3 inches wide, trail tires are typically 2.3-2.5, enduro and downhill tires come in around 2.5-2.6, and plus tires (which are most often for trail use) are 2.8-3.0. Anything beyond that falls into the fat bike tire realm, which typically run 4.0-5.0. It also helps to understand the general characteristics of the tires in each of these categories. Cross country tires are usually light and fast rolling, but with less grip and an increased chance of puncture. Trail tires also roll fairly well, but are a little heavier due to increased width, puncture protection, and grip thanks to taller side knobs. Enduro and downhill offerings usually don’t roll as well, but have the best grip and most robust puncture protection. Of course, the numbers above are not rules, merely suggested starting points. As you ride and experiment more you’ll start to figure out what works best for your particular style and terrain. That said, for all around trail riding we at Mtbr have quickly become fans of what Maxxis calls Wide Trail, which are tires in the 2.4-2.6 range. 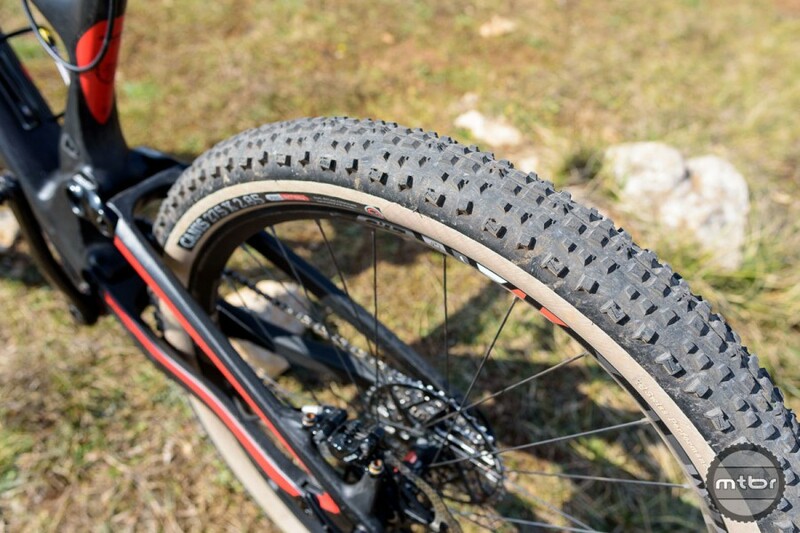 They typically offer nearly as much traction as their wider plus-sized counterparts and can be run at lower pressure, but without the extra weight or potential for feeling squirmy, bouncy, or puncturing, all traits that often plague plus tires. Just remember that if you’re going to run a tire in this Wide Trail range you need to have a suitable rim. Skinny XC wheels just don’t mix well with girthy trail tires. The transition zone affects tire behavior when you start leaning your bike at an angle. Yet another element in the tire buying matrix is tread design. Generally speaking there are three key zones: the center, transition, and cornering or side zone. Any time you’re rolling in a relatively straight line (which is most of the time), you’re engaging the center zone. Thus tread design in this area plays a critical role in rolling speed (or resistance), straight line traction, and braking performance. Tires with short and small closely-spaced center knobs are usually best for hard pack trail conditions and will roll faster, but with less traction and reduced braking performance. Conversely, tall broad knobs that are more widely spaced improve grip and your ability to slow down, but won’t roll as fast. 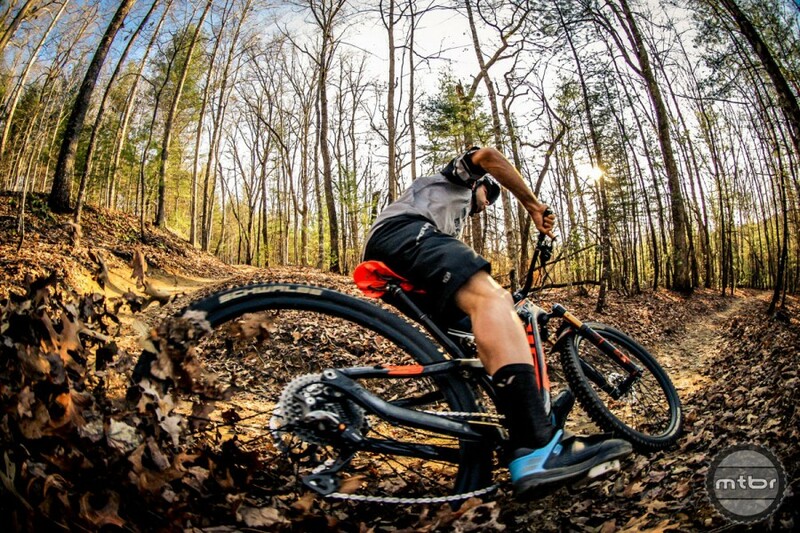 This design is typically better for soft or loose trail surfaces, and more aggressive riding. On either side of the center tread is the transition zone, which affects tire behavior when you start leaning your bike at an angle. If the transition zone is more open without a lot of tread blocks, the tire will be faster but also feel drifty as you “transition” between the center and cornering zone. This can be a pretty unsettling feeling, but will also allow you to carry more speed through corners. If instead, your tire has a lot of tread blocks in the transition zone, it will hook up better without the drifting feeling. But that increased control comes with the cost of lower speed. Last but certainly not least is the cornering zone, which delivers traction when your bike is leaned over and carving through a turn. Here the primary tradeoff is between large and small knobs. Bigger knobs will typically deliver more grip, but can also feel squirmy, especially on hardpack terrain. Smaller knobs will roll faster on smooth trail, but also break free and slide more easily. It’s primarily for this reason that a lot of riders will opt to run a lower profile tire in the rear for faster straight line and cornering speed, but use a toothier tire up front to enhance traction, especially in corners. 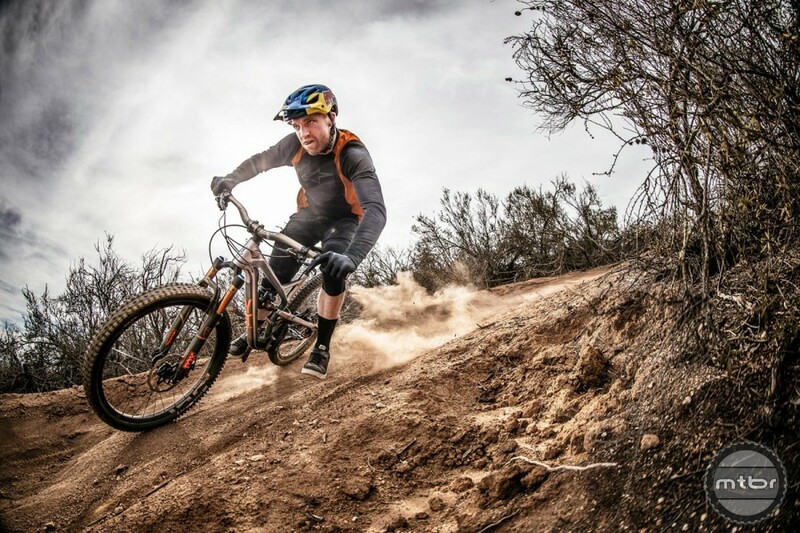 Downhill tires must combine superior grip with enhanced puncture protection. 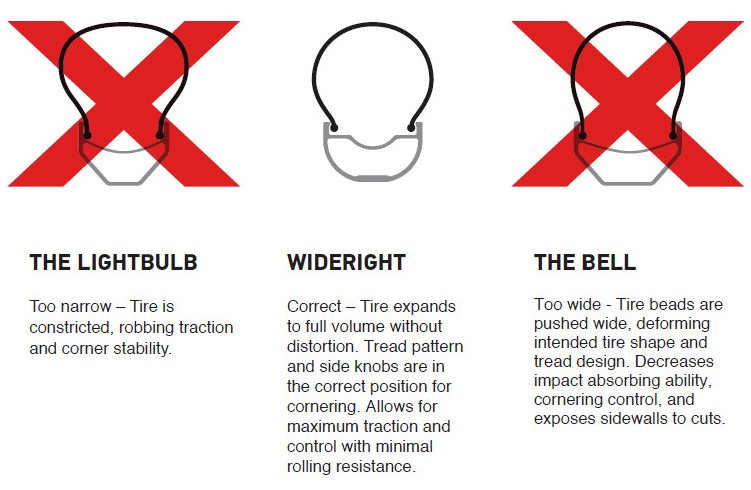 It’s also worth considering tread profile shape. Square knobs tend to do better in loose conditions, while rounder knobs will be more drifty. Again, many riders will opt to mix-match front and rear, with the better biting square treaded tire up front and the drifter (but faster) knobs in the back. Since the rear wheel follows a wider arc than the front, its tends to drift more as it follows the front tire through a turn, and the rounder profile can help the rider better maintain control during the drift. Finally, remember that tires with widely-spaced knobs are best in the mud, because they shed debris better. Yet another aspect of the tire buying decision process is construction. All tires have a TPI number (aka threads per inch). TPI relates to the carcass or casing of a tire, and is made up of parallel threads, usually nylon, which are coated with rubber and oriented at a 45-degree angle from bead to bead. Higher densities of threads create a tire that is more supple with lower rolling resistance, but with less puncture protection. 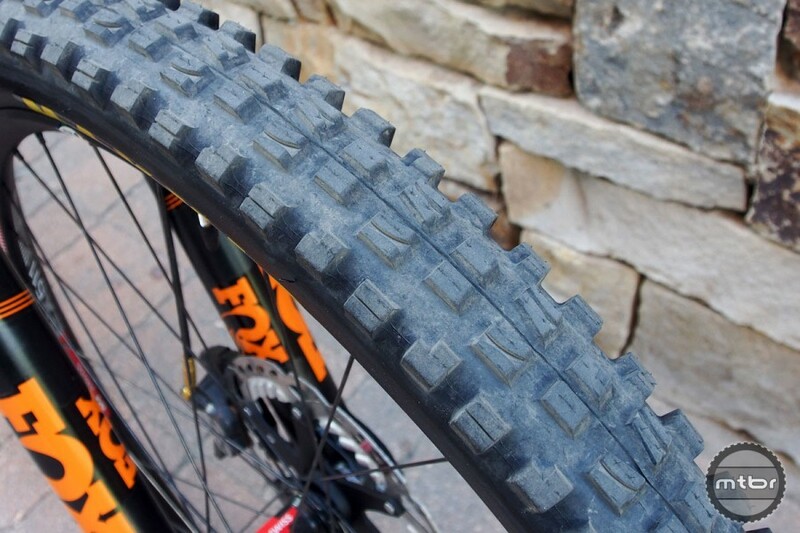 These higher thread count tires, usually in the 60 to 120 range, are often used for XC and less aggressive trail riding. Lower thread count carcasses (under 60 TPI) typically use coarser threads with more rubber surrounding them. This results in a stiffer, but more durable tire. 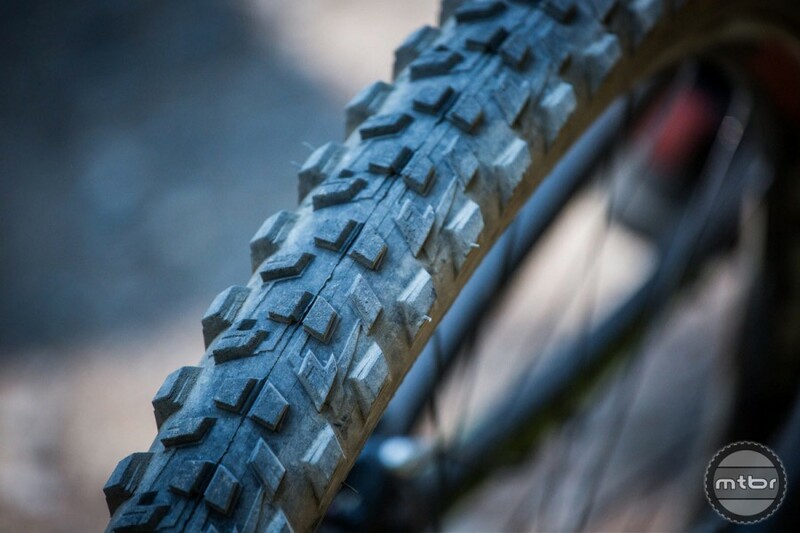 These lower TPI count tires are usually earmarked for heavier trail, enduro, and DH duty. Siping (aka cutting thin slits across the surface of a tire tread) can help improve traction. You’ll also want to consider bead, which is the inner edge of the tire. Air pressure within the tire keeps the bead seated properly in the rim, and thus the tire on the wheel. Beads fall into two categories, folding and non-folding. Folding beads are made with a flexible material like nylon, Kevlar, or Aramid. Non-folding beads are made of steel. Folding beads are much lighter than steel beads. Another aspect of the tire construction matrix is sidewall construction, which influences a tire’s flat resistance, weight, and ride quality. Sidewall thickness is determined by how many layers of carcass, or plies, are wrapped around the tire bead, and by any inserts in between those plies. Inserts increase puncture protection, structural integrity, or both. Strips of nylon, Kevlar, or Aramid are the most common inserts. These materials are light and pliable enough to minimally affect ride quality but still provide puncture protection. Cross country tires will have little to no sidewall protection to save weight. But inserts, which add weight, are often used in enduro and downhill tires for added pinch flat resistance and stability. These thicker tires with more sidewall structure can be used with lower air pressure, which enhances traction, but the thinner, lighter tires rely on higher air pressure for structure and pinch flat resistance. The rubber compound used in the tread will also influence tire performance, including longevity, traction, and rolling resistance. Harder compounds last longer and roll faster, but softer compounds provide more traction. Often, several compounds will be used on one tire. The hardest compound provides a foundation for the tread blocks. Hard or medium rubber is used on the center tread for increased wear resistance and rolling speed. Softer compounds are often used for cornering knobs, providing extra grip in turns. Cross country tires typically use harder rubber compounds, shorter, smaller, tread blocks, lighter casings, and folding beads to maximize rolling resistance. 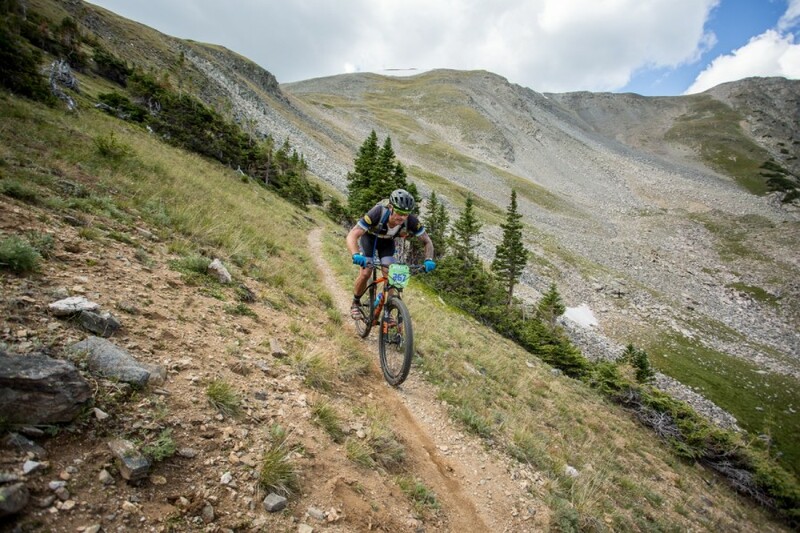 Trail and enduro tires use medium to soft rubber compounds, wider, medium-to-tall tread blocks, slightly reinforced casings, and folding beads to provide more traction and longevity without adding too much weight. 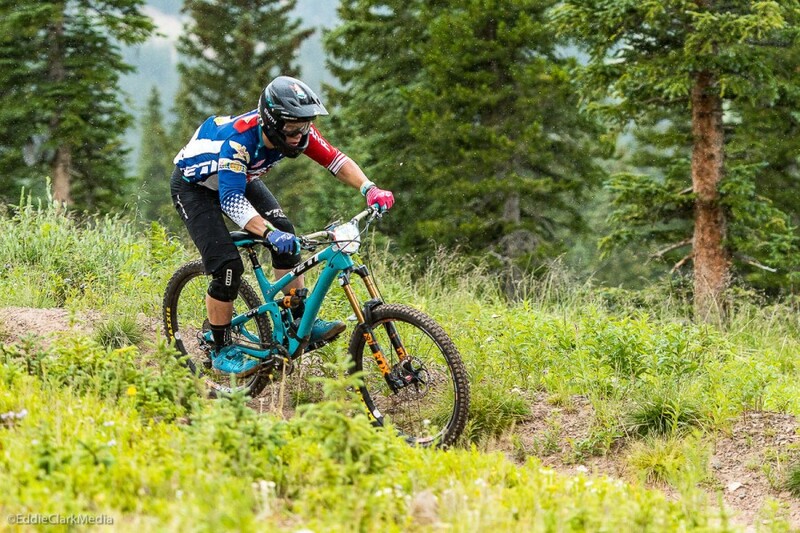 Downhill tires use soft compound rubber, wide, tall, aggressive tread blocks, reinforced casings, and both steel and folding beads to maximize traction and flat resistance. Tires often have directional tread, meaning you mount it one way for rear wheel use and the opposite for up front. Finally, you’ll need to consider price, which ranges wildly depending on brand and features. During a recent cross country tire test, for instance, prices ranged from $55 to $92 per tire. And while we won’t tell you the best tires are always the most expensive, this is not a piece of equipment you should skimp on, because like so many things in life, you get what you pay for. Tires can be broken down into three key zones: center, transition, and cornering. TPI relates to the carcass or casing of a tire, and is made up of parallel threads, usually nylon, which are coated with rubber and oriented at a 45-degree angle from bead to bead.